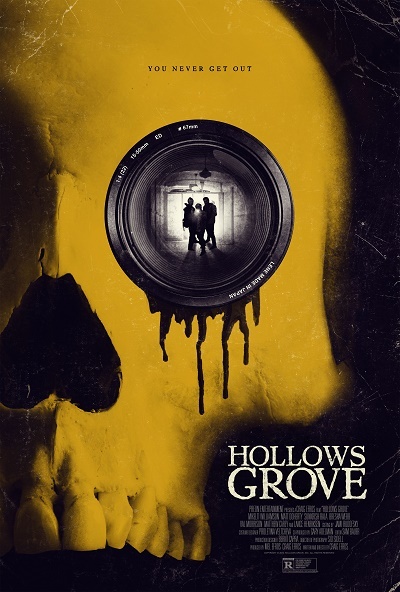 Hollows Groves, a movie about a behind-the-scenes look at a Ghost Hunters type of reality series, was spawned by writer/director Craig Efros’ skepticism – not of the supernatural, but of the hi-tech ‘smoke and mirrors’ that can be used to make the audience believe that those kinds of paranormal investigators are actually encountering paranormal activity. The result is a film that asks if such investigators really believe in what they’re doing and, if not, what might happen if they actually encountered something supernatural? Hollows Grove stars Lance Henriksen and Mykelti Williamson and will be released on VOD through iTunes and www.hollowsgrove.com on Tuesday, October 21st. Follow the jump for details.